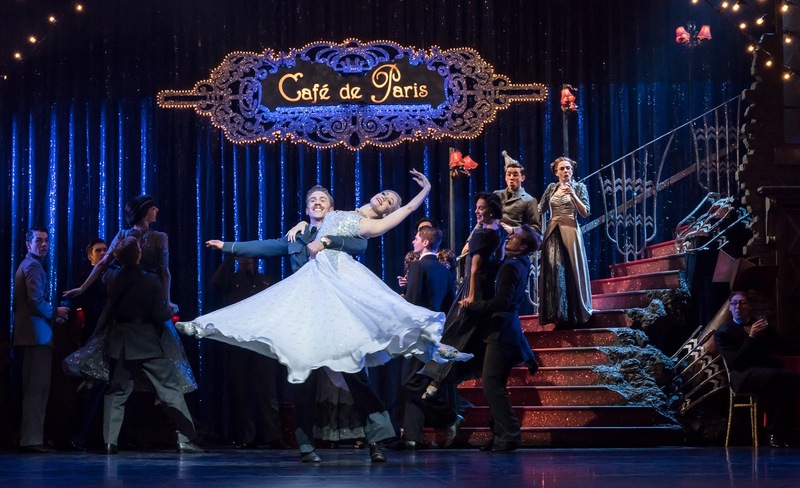 Celebrating their 30th anniversary, Matthew Bourne's New Adventures is marking the occasion by reviving his re-imagining of Cinderella set during the terror of the Blitz in 1940 with Prokofiev's iconic music. Now 20 years old, the production still feels in a league of its own. A cinematic opening, courtesy of Duncan McLean's projection design, as the surround sound of the air raids rumble around the theatre while projected news reels share the horror of the most recent bombings in the Blitz sets the scene. The sobering images and Lex Brotherston's grey and monochrome designs bring a real darkness to the opening Act. The addition of step-brothers as well as the iconic step-sisters places the downtrodden Cinderella in further shadow as a Daddy's girl whose father is confined to a wheelchair. Ashley Shaw is enchanting as she moves from mousy Cinderella to the sophisticated belle of the ball. Brotherston's monochrome aid in Anjali Mehra's engaging portrayal of the step-mother bringing a touch of Cruella de Vil to the piece. Mehra brings some light relief in places with the attempts to ensnare the next man. Instead of a Prince, Harry the pilot is the love interest. Dominic North creates a suave portrayal and the chemistry with Shaw's Cinderella creates glittering moments that enthrals the audience. Liam Mower's strikingly handsome Angel captivates the audience with an other-worldy presence that threatens to steal the scene, in part due to the brilliant white of his costume and hair. The Cafe de Paris setting brings a dark edge of sharp realism to Act Two as 34 people lost their lives when the restaurant was hit by two bombs in 1941. This juxtaposition of the harshness of war against the glitz of the Cafe de Paris ball leaves the audience much to consider. Mower's Angel is particularly haunting in the opening of the Act. Unmistakable London locations and a striking hospital section bring the piece to its crescendo as the couple are finally reunited. Dark, creative, breathtaking and magical, this fairy tale stands the test of time.